One of the best things about Kindle is the fact that it has a TextBook version designed specifically for college students. Instead of buying entire textbooks, which can be very expensive (even for used textbooks), it is possible to to buy licenses to read them on your Kindle. This way, you avoid having to buy textbooks that are a hassle to sell before the next edition comes out. Another benefit offered by the TextBook version is that it is possible for up to six Kindles to share one account. This means that you can all access the same materials. This makes the Kindle a powerful collaboration tool for study groups and for group projects. And, finally, it is possible to save money on Internet access when you use the Kindle. Kindle provides free wireless access to an online dictionary, Wikipedia and limited browser functions, on top of your access to textbooks. If you have Gmail, you can even keep up with your inbox using the Kindle. This can save you money, since you don’t need to access the Internet via expensive subscriptions. You can supplement with the school’s computer labs, and use your hard earned cash for something else. Free Books: Kindle offers a number of free books that you can read for free, without having to pay for a license. Clipping Extractor Macro: This is for Windows, and is a macro for MS Word. It allows you to sort through the clippings.txt file in such a way that you can extract notes and highlights from a particular book. This can be very useful indeed when it comes to studying. Weekly Planner: You can keep track of your weekly appointments, assignments and other important information when you use the free Kindle Weekly Planner. There is also a Kindle calendar that can help you keep track of the date, and important items of interest. Stay organized while in school, and keep track of all your due dates. InstaPaper: Keep track of things you want to read later, whether you are doing research or just looking for something interesting to read in your down time. You can save web pages for later, bookmarking items that might be important for an assignment or paper. Kindle Feeder: Make sure you have access to all of your RSS feeds on your Kindle. This way, you are able to keep up with important news and information. PDF support: Kindle now provides PDF support. This is very helpful to students who want to be able to peruse papers and other information in this format. You can search through a PDF, circling what you are looking for, and you can rotate the angle for better viewing. Applescript: If you want to read a newspaper or magazine article that has been posted online, you can use Applescript to send it to your Kindle. This lets you save something helpful that you have come across for later, and carry it along with you. Perfect for research projects, media projects and other related homework assignments. 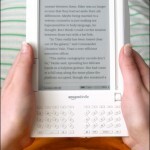 You want to be on top of the latest Kindle news, as well as find new ways to use your Kindle to its fullest potential. Keep track of the latest happenings, and learn a number of helpful tricks and hacks to make your Kindle more user friendly during your college experience. Kindle 2 Tips + Kindle 2 Hack List: Learn a number of shortcuts, hacks and tips that can make using your Kindle a snap. Get what you need faster with the tips from this list. Kindle 2: 10 Things You Should Know: Get a primer in what you need to know about the Kindle 2 from PC Magazine. Kindle Buzz: Stay up to date on the latest Kindle news, looking at new features, applications and tricks to help you use your Kindle better. MobileRead: This forum site can help you learn about the latest happenings in the world of Kindle, and provides helpful solutions to problems, as well as allowing you to share your insight into Kindle. A Kindle World Blog: How-tos are the greatest asset on this blog. You can read about hacks, as well as learn about some of the capabilities you probably didn’t know the Kindle had. Massively Parallel Procrastination: You can read about a number of hacks for use with the Kindle. Jesse Vincent also includes hacks for Perl and other technical products and services. Kindle Chronicles: This is a weekly podcast that shares news and information on all things Kindle. You can get helpful insights on using your Kindle, solving problems, and get updates on new versions. If you are looking for some customer service and support, you can go right to the source. Here are some resources that can help you connect with people who can help you solve your Kindle related problems. Amazon Kindle Support: This help site can help you find answers to your problem on your own, or put you in contact with specialists who can help. Kindle Helpdesk: Sort through common problems and learn how to fix them, as well as get the latest news and information. GetSatisfaction.com: This site offers community-based customer support for the Kindle, and provides interesting discussions. This entry was posted in College, Learning, Resources, School, Technology, Tools and tagged College, Kindle, Kindle 2.0, Learning, study aids. Bookmark the permalink.